Below you will find List of Top Ayurveda Colleges in Madhya Pradesh 2019, Government & Private Best BAMS Institutes in MP. 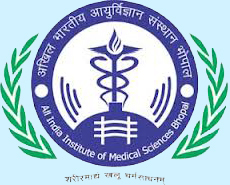 All India Institute of Medical Sciences (AIIMS) Bhopal is a medical college and medical research public university started in the year 2012. Address : All India Institute of Medical Sciences, Saket Nager,Bhopal - 462 024, Madhya Pradesh, India.